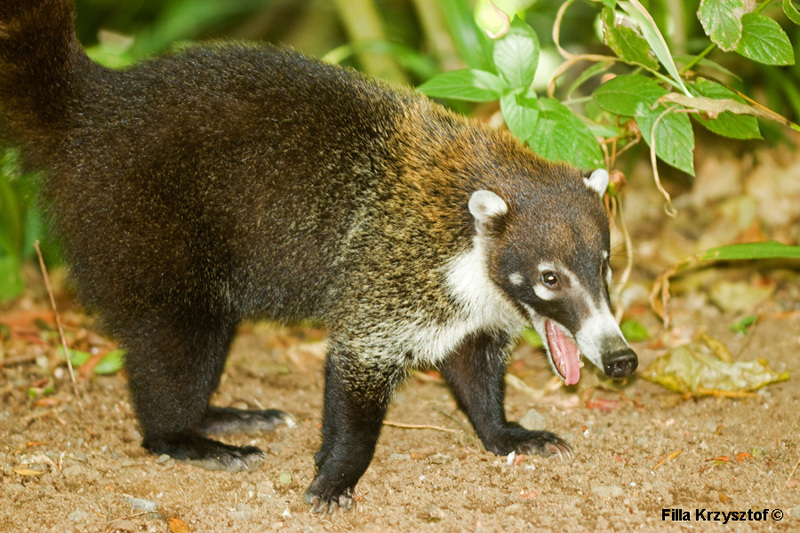 White-nosed coati (Nasua narica). It is an animal related to raccoons. It is wide spread across central America. They live in groups up to 27 individuals. They often appear near human households and trash bins in search of some food.